Here is another mini composition notebook I covered with Martha Stewart printed cardstock and diecuts. I just love this collection of Halloween papers! I’ve also listed this one and several other ones in my Etsy shop. 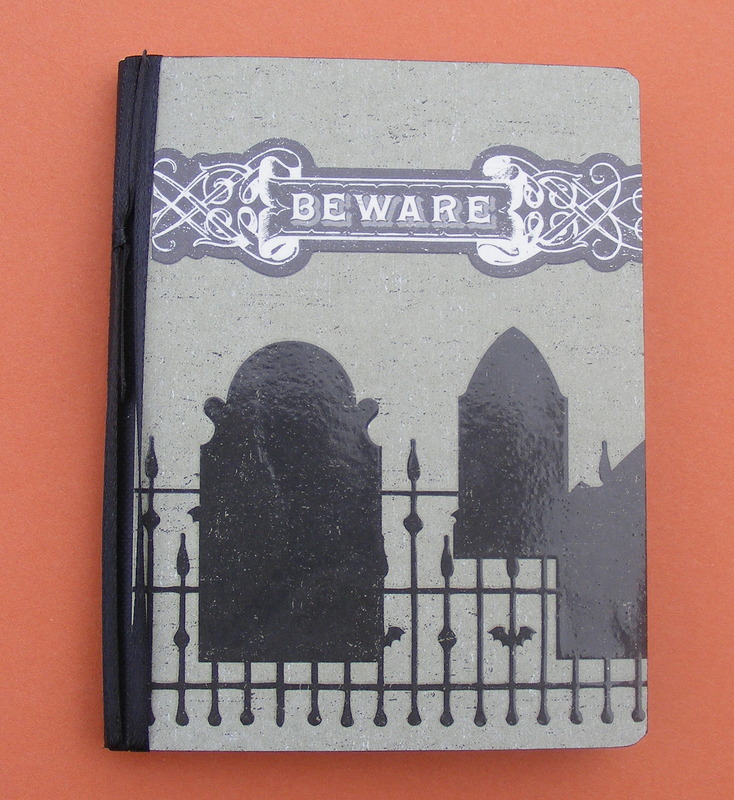 This entry was posted in Notebooks & Journals & Diaries, Rubber Stamped Items and tagged Bat, cemetery, graveyard, Halloween, notebook. Bookmark the permalink.